19 Days 6 hours and 41 minutes till the Toronto Waterfront Marathon. Yes I am counting down and I am surprisingly relaxed and excited. Last week I had a big week of training and did not feel recovered going into my workouts. By the end of the week I was making sure to ice my legs and get a lot of rest. Saturday was my day off from running so I made sure I rested my legs as Sunday was going to be my second longest run during my training for T.O. Emma is visiting from Calgary and Shauna has moved back to Vancouver so I had my training buddies back. 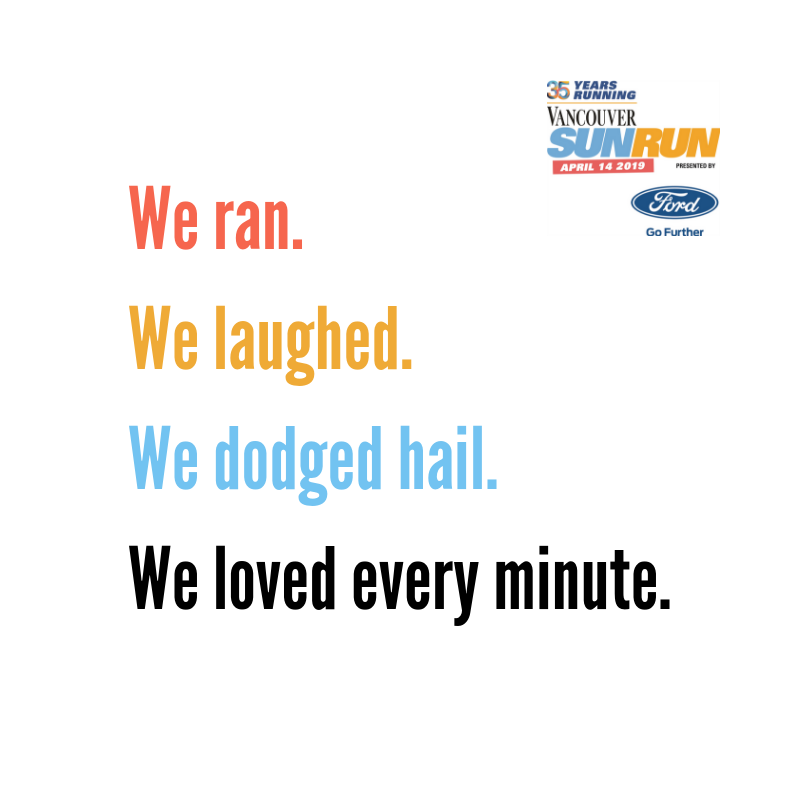 We met Sunday morning at 7am and ran together for 2 hours through the Stanley Park trails along English Bay. The time went by quickly as we chatted and got caught up with what has been going on in each others lives. I made sure to fuel really well during the 2 hours: 3 gels (Gu Espresso Love my fav and power gel Double Latte love the caffeine in the morning) in my water belt I had water with a scoop of Cytomax. The girls were finished after 2 hours and I headed back onto the seawall to finish my last hour at 4:14/km pace. I settled into a groove and finished the last hour avg 4:00/km. Total Run About 40km in 3 hours and I did not feel overly destroyed. That is my last big long run till T.O. I am happy it went well. This week I have workouts Tuesday and Sunday and I am making a conscious effort to rest rest rest in between! And Eat Eat Eat! Chocolate Croissant and Ritter Bars Yum! and of course Kale and Spinach HA!